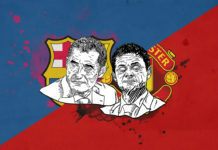 This match analysis first featured on our network site, totalfootballanalysis.com. Manchester United’s attacking output has recently come to the fore, especially when chasing games. 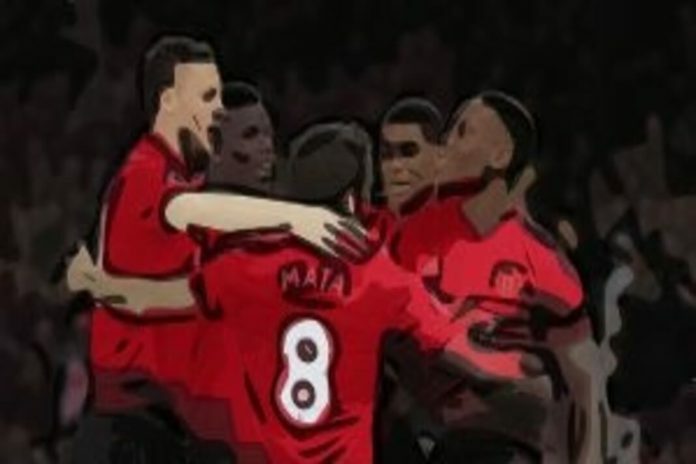 The Red Devils’ comeback to win from two goals down against Newcastle was what began this trend, with the 2-2 draw against Chelsea a continuation of the same theme, where United only let loose after going behind. 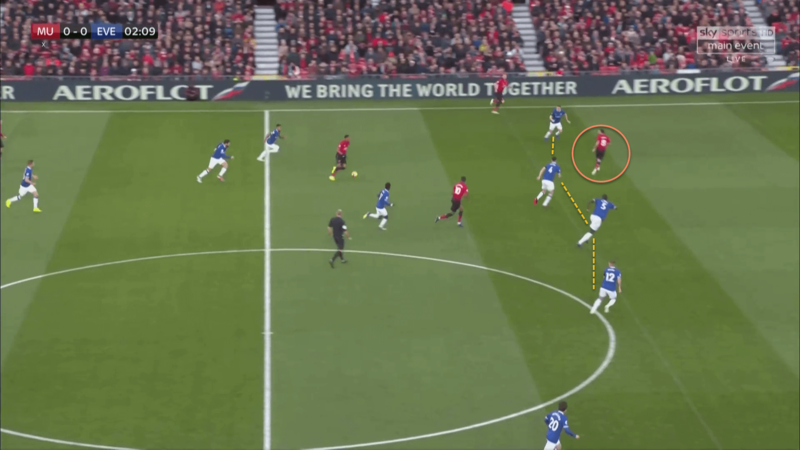 However, this method is surely unsustainable, and thus fans of the club would have been delighted to see a change in the plan during the game against Everton at Old Trafford – United actually attacked in the first half itself. The final scoreline may have been closer than desired at 2-1, but that owed a lot to United’s profligacy and some superb goalkeeping by Jordan Pickford. Nevertheless, this represented some tangible progress toward building a team that can attack coherently, and the following analysis will delve into the factors behind this. Paul Pogba may have hit the headlines for his dressage-style approach to penalty-taking, but the Frenchman was at the top of his game otherwise against Everton, especially in the first half. His movement and passing cut through the Toffees time and time again, and only a mixture of good goalkeeping and bad finishing kept the score down to 1-0 at half-time. While he was slightly less effective in the second half, he still showed incredible presence of mind to eschew a shot from 25 yards and instead pass to Anthony Martial, who promptly finished the move off with a sumptuous curling effort. 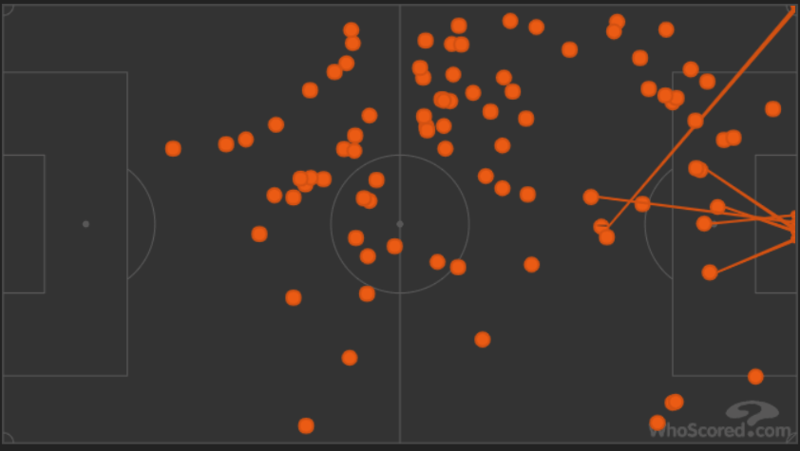 Pogba’s touched the ball more than anybody else on the pitch (89), and his touch map shows the influence he had on the game, especially on United’s attack. The fact that Fred played in the midfield alongside Pogba and Nemanja Matic allowed the Frenchman to dictate proceedings; the Brazilian provides balance to the midfield, and he allowed Pogba to strut his stuff higher up the pitch, safe in the knowledge that there was sufficient cover behind him. 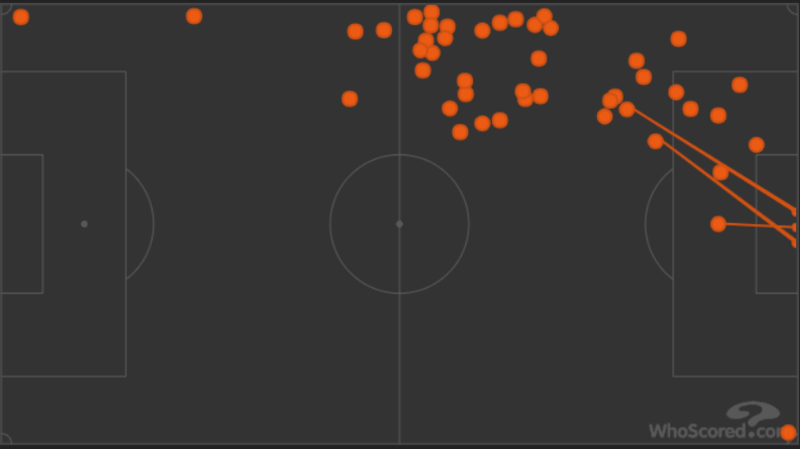 This brought out the best of Pogba’s game – as the touch map shows, he drifted to the left quite often to link with Anthony Martial, and the two Frenchmen combined for both of United’s goals. 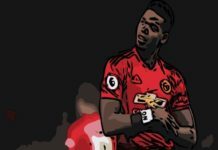 Pogba’s passing and movement were of the highest quality on Sunday, and the hope, as always, is that he provides displays of this nature on a more consistent basis. Anthony Martial has enjoyed a renaissance to his United career over the last month or so. The Frenchman, who looked on his way out of Old Trafford in the summer, has now scored four goals across United’s last three league games, and he also won the penalty from which Pogba ultimately scored off the rebound. 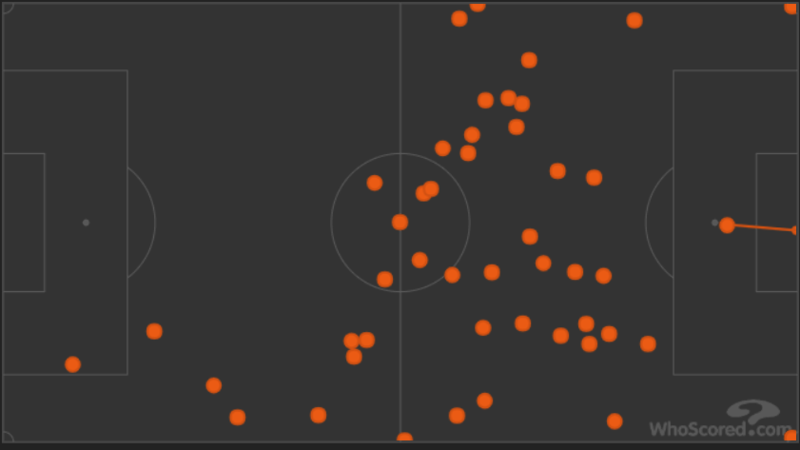 The touch map below shows Martial’s positioning throughout the game – he was mainly playing off the left flank. 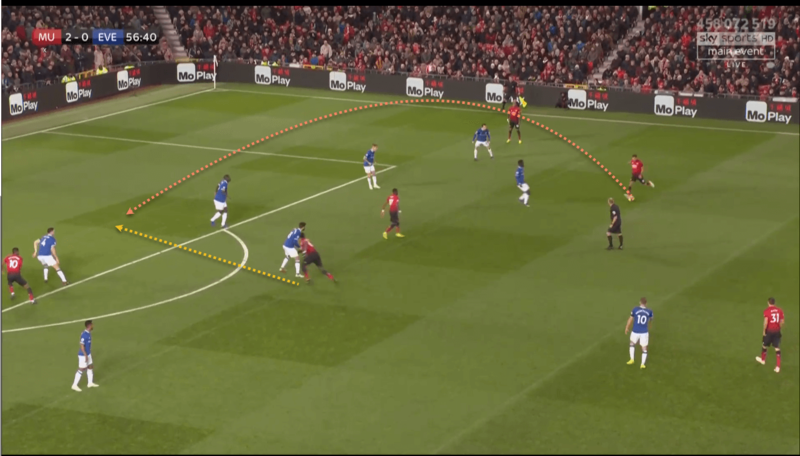 What was most impressive about Martial was his directness with the ball at his feet – he usually went straight onto the offensive, running at Seamus Coleman before either checking inside or going onto the outside. Indeed, it was this ability to go both ways that flummoxed the Irish captain, who struggled against Martial all evening. Martial could conceivably have had a hattrick, drawing one good save from Pickford and then messing up one late chance where he was one-on-one with the England keeper. Nevertheless, this was an extremely effective attacking performance – he made four key passes, one successful dribble and was fouled twice, one of which was for the penalty. 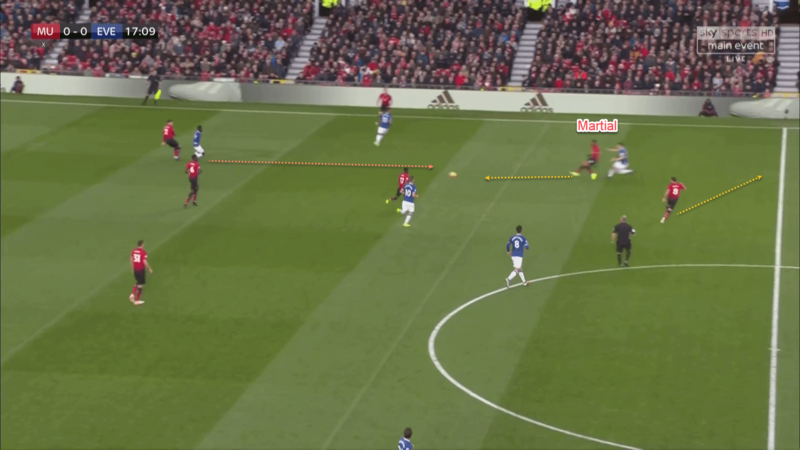 This efficiency is what Jose Mourinho has been wanting from Martial all along, and it looks like he is finally delivering on his undoubted potential. Juan Mata is another player who has enjoyed a run in the side of late, and he has arguably been one of the biggest reasons behind United’s new-found attacking prowess over the last few games. 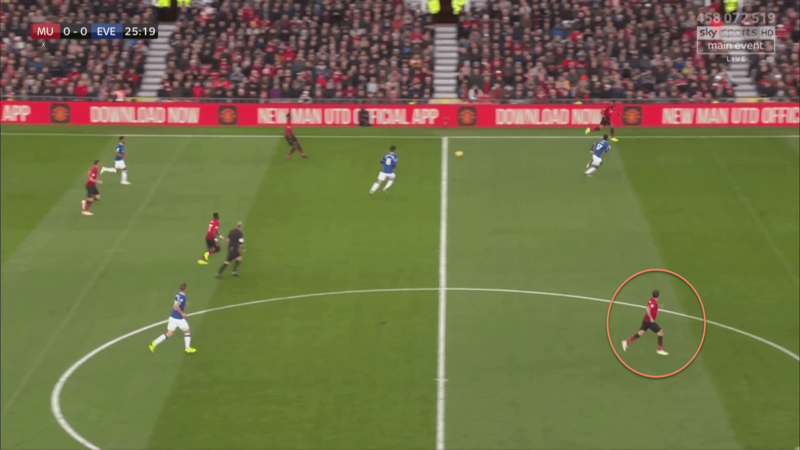 He was crucial as United took charge of the second half at Stamford Bridge, and while the Spaniard started from the right on Sunday, instead of a central position, the touch map below will show that this was just a nominal position. 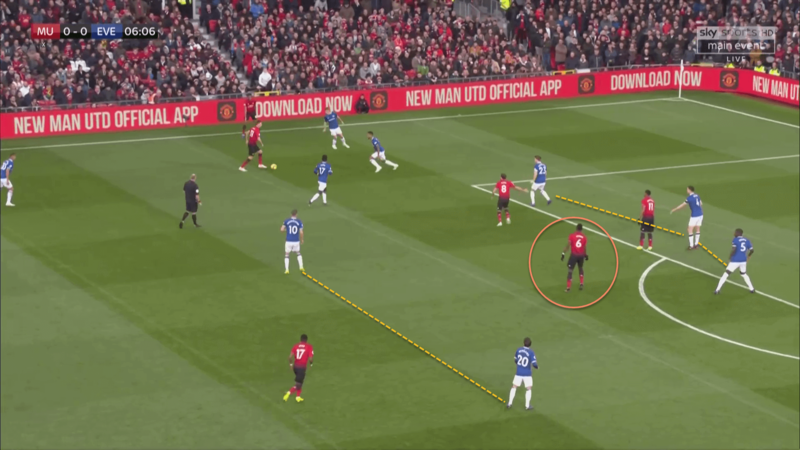 Mata drifted across the pitch as he usually does, linking up with the forwards and midfielders, and this helped provide balance and ensured that United were not overrun in the centre, as Pogba tended to move out to the left. Mata was extremely intelligent with his movement and positioning, always making himself available for a pass and moving the ball along at a high tempo. He completed 97% of his passes on Sunday, while also making two key passes, which underlines his contribution to United’s attack – facilitating those around him with quick, intelligent passing and excellent positioning. United were quite good against Everton in an attacking sense and created enough chances to have put the game to bed before Gylfi Sigurdsson’s late penalty made the last quarter of an hour far nervier than it should have been. Nevertheless, Jose Mourinho and the United faithful should be encouraged by this performance, and if the three players mentioned above can continue to play the way they have, there is no reason why United cannot get maximum points from their next two games – against Bournemouth, and then Juventus in the Champions League, before the big Manchester derby on 11th November. Previous articleDoes Victor Wanyama to Old Trafford make sense? Next articleShould Manchester United pursue a Juan Mata/Aaron Ramsey swap deal? No plan, no idea and no success.